KEEP CALLING (202-224-3121) AND EMAILING YOUR SENATORS AND REPRESENTATIVES!!! You, members of Grassroots America, killed HR5 last February. You can kill its companion bill S1177, which is coming up for a full vote in the Senate any day now. On April 30, Sen. Lamar Alexander (R-TN), Chairman of the Senate Health, Education, Labor and Pensions (HELP) Committee, introduced S. 1177, the “Every Child Achieves Act,” a bill to reauthorize the Elementary and Secondary Education Act (ESEA). The bill is anticipated to be considered on the Senate Floor in June. Sen. Mitch McConnell (R-KY), Senate Majority Leader, recently provided reporters with the Chamber’s expected May floor schedule and S. 1177 was not included in the list of legislation to be addressed. The text of S. 1177 is available here. Communism is ALIVE & WELL! 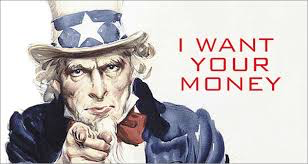 I want your PROPERTY TAXES! Communism is alive and well in education restructuring in America.The Reauthorization of the Elementary and Secondary Education Act (ESEA), due for Congressional Hearings in March 2015, is the last nail in America’s coffin. This bill, theESEA Re-authorization, will affect YOU — Every American taxpayer! Every American who owns private property! The ESEA is proof positive that COMMUNISM IS NOT DEAD! As Mark Twain once said, “The reports of my death are greatly exaggerated.” Similarly, any time you hear reports that Communism is dead, don’t believe them! Read Anita Hoge’s analysis (HERE) of the Re-authorization of the ESEA, known as Every Child Ready for College or Career Act of 2015sponsored by Sen. Lamar Alexander. This bill amends No Child Left Behind which is the Re-authorization of the Elementary and Secondary Education Act of 1965 referred to as ESEA. ACTIVIST ALERT: Contact your U.S. Congressmen and Senators and ask them to arrange for Anita Hoge, representative of the average American and spokesperson for grassroots parents, to be included in whatever testimony is given before their respective education committees related to the Reauthorization of this dangerous legislation, ESEA. I have been publishing alerts by Anita Hoge on my blogabcsofdumbdown.blogspot.com. 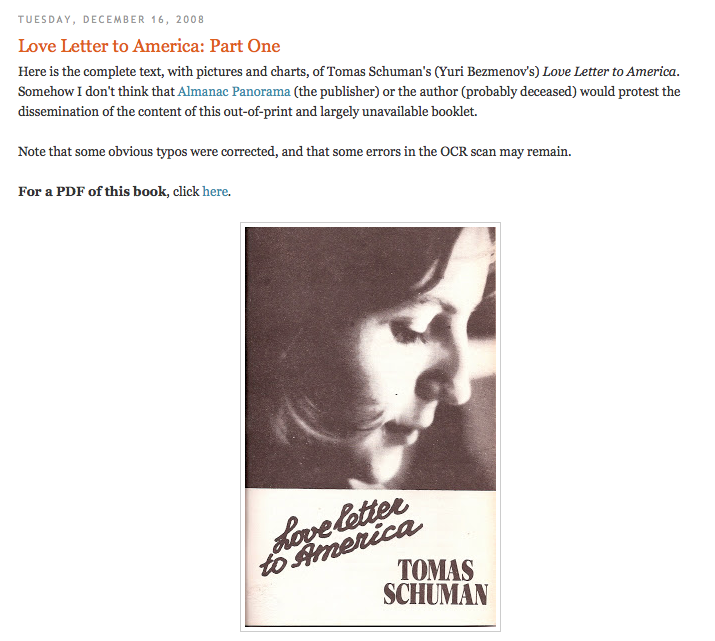 The following critically important information from Anita Hoge was just posted on my blog. The following information affects YOU — EVERY AMERICAN CITIZEN! 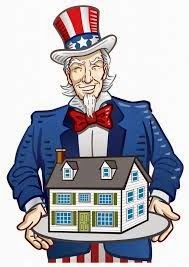 ESEA & your property taxes! Eliminating property taxes aligns with the ESEA Re-authorization bill! Eliminating property taxes aligns with the ESEA Re-authorization for a student to go to any school they want, public or private, where the money“follows the child.” This is President Obama’s “Choice.” This is Obama’s “Equity Plan,” to fund every student the same, whether you are in a wealthy school district, a poor school district, a charter school, or a private school, with Title I funds. So, all money from property taxes is going to the State, and Common Core, with all the federal strings attached, which creates a nationalized education agenda. Who do we then go to for representative government, for our voices to be heard — the State??? What happens to the value of your property when this “equal” distribution of taxes happen? Does the value of your property skyrocket? Or is it worthless? What about when you sell your property? How much will the state get in taxes from your profit? What about inheritance? Taxes? Read more: OBAMA TARGETS BABIES! A few days earlier, I published another alert by Anita Hoge, this one ominously titled “OBAMA TARGETS BABIES! Assessing the babies is Obama’s agenda.” This alert explains why “FAMILY” has had to be re-defined in ESEA. Infants and toddlers are going to be screened, assessed and databanked according to extraordinarily intrusive behavioral criteria. The teacher (caregiver) will be doing anecdotal screening and assessment in this “functional behavioral assessment,” and collecting data on each baby. Things like tantrums, doesn’t put their toys away, separation anxiety, crying, not wanting to take a nap, not playing with other children, not sharing, hitting another child… all these are considered to be mental health disorders. This is the birth to kindergarten mental health interventions for our babies. This is research for the early learning and the $1 billion that Obama is funding for daycare and preschool. This horrible fact is the demoralizing effects of 54 years of “deliberate” Marxist brainwashing in public education. What IS dead is Americans’ ability to recognize Communism when it is staring them in the face, especially when they see what’s in his Re-authorization of the ESEA bill. 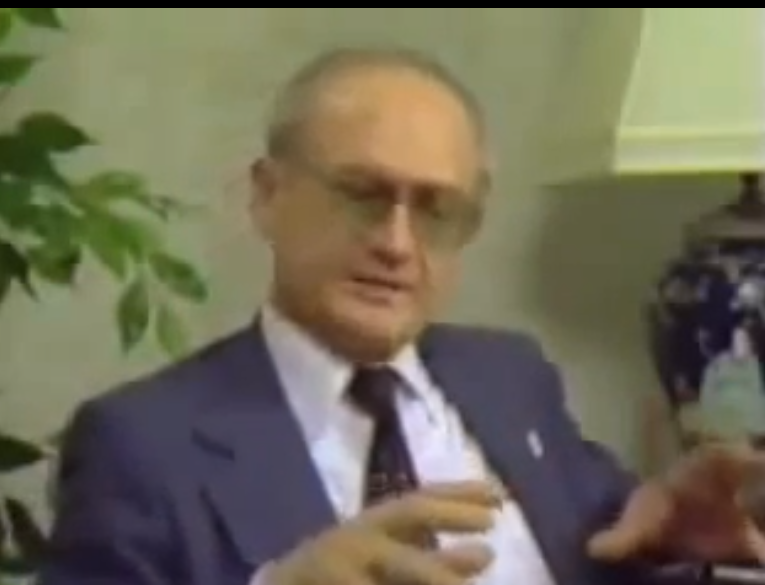 Watch Yuri Bezmenov’s interview HERE. Yuri Bezmenov, if alive, would seize on Anita Hoge’s story as a case study in how Americans allowed Marxist thinking to permeate the education system to the extent that Americans are not rising up in the hundreds of thousands in opposition to the imposition of that totalitarian system which Anita is trying to expose: the lifelong womb-to-womb education, using computers and the incredible power of technology, embedded with the sick soul-destroying philosophy of B.F. Skinner. Americans are allowing this to happen through imposition of an unelected system of government being introduced through tax-funded school “choice” and charter schools with unelected boards, which will kill ALL education: public, private, religious, home school, and place these entities under Corporate/Fascist/Communist control, even imposing the Soviet workforce training component on Americans Kindergarten to Age 80 (National Alliance of Business recommendation). 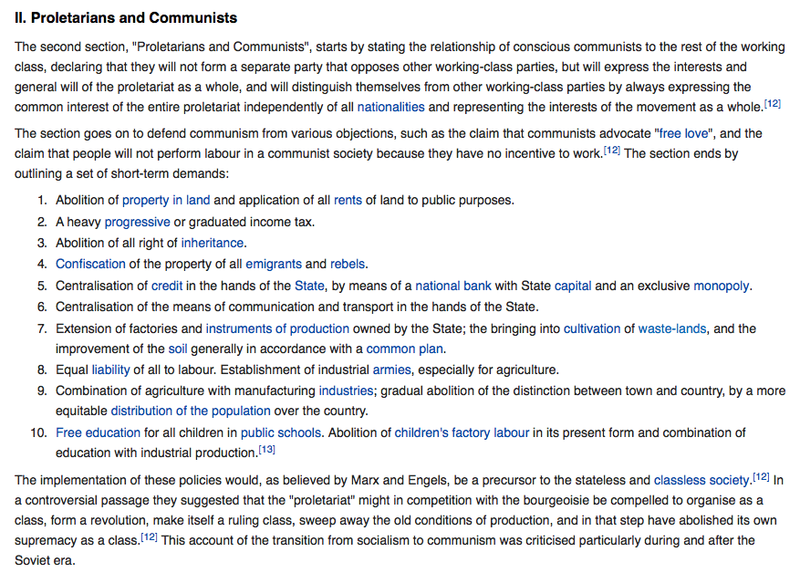 Here is a study in Communism: The Communist Manifesto by Karl Marx and Friedrich Engels. Proof that Communism is alive and well! Proof that the entire education restructuring was Communist from the very beginning — and that it intended to change our American form of government. 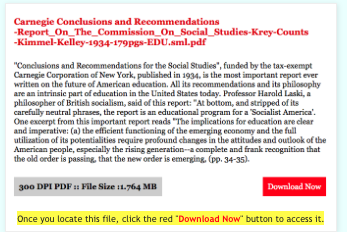 Go to American Deception.com and type “Conclusions” into the search engine in order to read Carnegie Corporation’s 1934 Conclusions and Recommendations for the Social Studies, which called for using the schools to change America from a capitalist economic system to a “planned economy” and also recommends, in some instances, the taking of our private property. 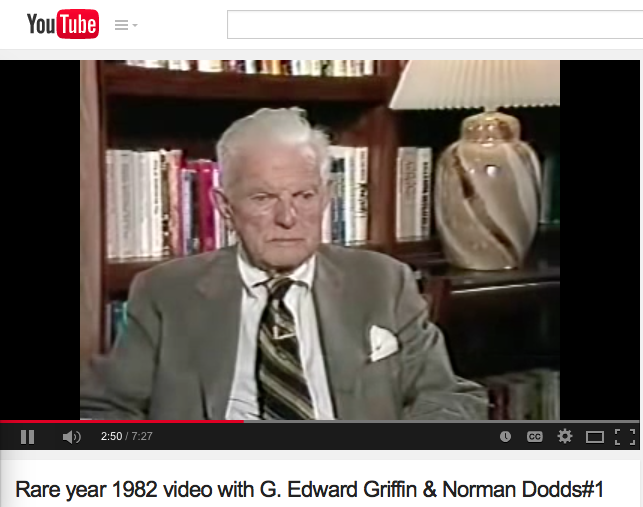 Edward Griffin interviews 83 year old Norman Dodd in the year 1982 in a rare interview that exposes the New World Orders infiltration by large corporations that are merging the USA into a world government(New World Order). He explains the infiltration of banking and the infiltration of the public education system. Dodd served as an investigator for Congressman Reece’s Special Committee on Tax Exempt Foundations (commonly referred to as the Reece Committee). To learn the historical facts, go to American Deception.com and type in“Reece” in the search box to download the 3000 page transcript of 1953 Congressional Hearings to Investigate Tax-Exempt Foundations.